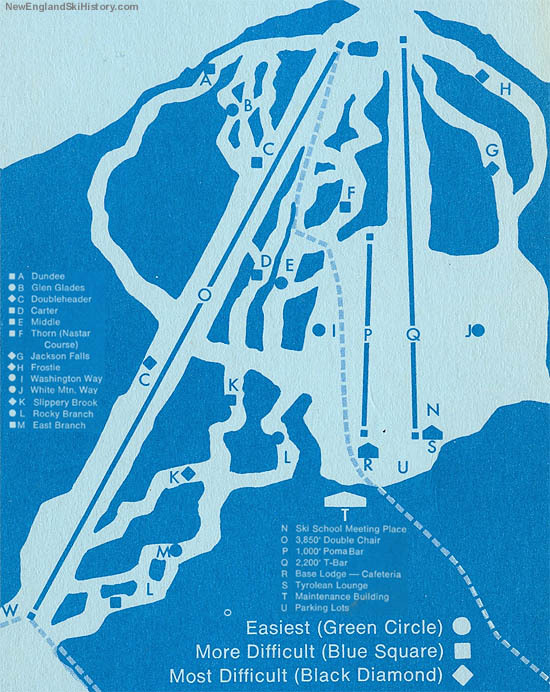 Located on the north side of Thorn Mountain, Tyrol opened as a surface lift only ski area in the mid 1960s. As other areas in the great Eastern Slope Region expanded and modernized, Tyrol attempted to improve its standing by adding a 3,478' long by 960' vertical Poma double chairlift in 1968. 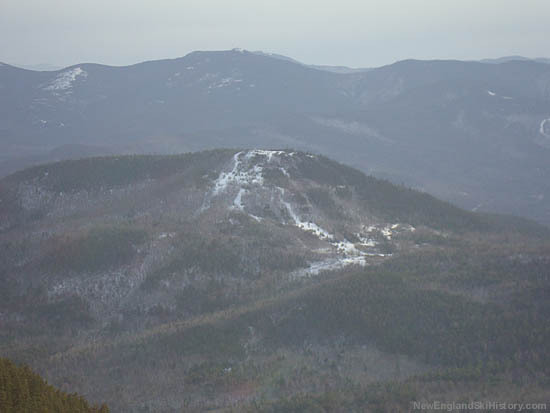 Four new trails were opened in conjunction with the chairlift that season. While this lift added vertical feet to the ski area, it created a new issue - the bottom terminal of the chairlift was located well below the base lodge and parking lot. It also did nothing to address the Tyrol's Achilles' heel - a relatively high base elevation accessible by mountainous secondary roads. 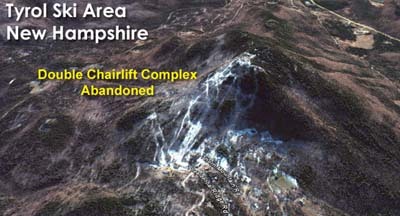 The ski area closed just over a decade later. Tyrol as seen from North Doublehead in 2010. The double chairlift complex rain from the top of the peak to the lower left side of the photo.